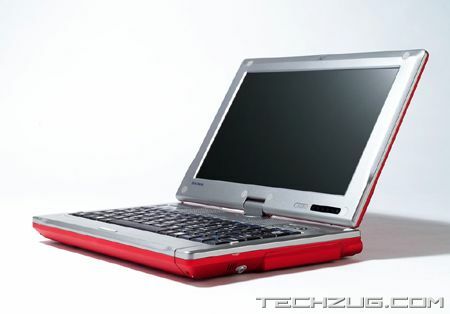 The Flybook v33i, a laptop with tablet-style swivel widescreen. It has an integrated GSM/EDGE and Wifi connectivity that gives you quick and easy wireless access around the world. Flybook v33i is powered by Intel Pentium M 1.1Ghz processor and comes with 100GB HDD, 2GB RAM and also a TV-out for all your DVR needs. 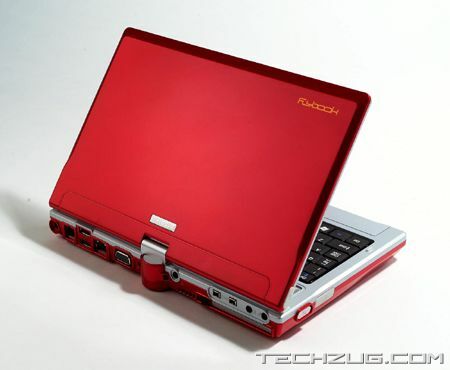 Other features include integrated microphone, USB 2.0, 2 x Firewire, PCMCIA, LAN, modem, and audio. 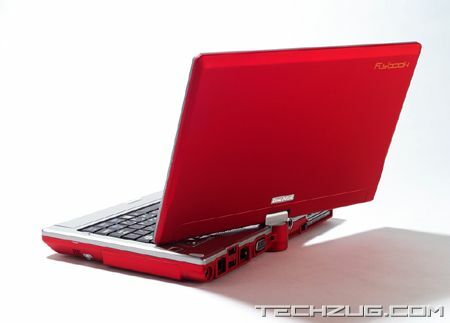 The Flybook v33i is available in black or red for $2299.